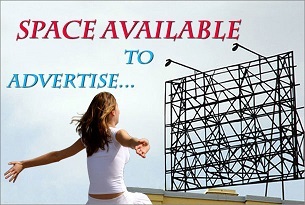 Advertise On Our Dynamic Content Platform. The annual Pushkar camel festival has taken place for a thousand years.Visiting India for the first time will at the outset, assault your 5 senses with such extreme contrasts. It was however, nothing less than fascinating. The aromatic food fantastic, people so friendly, the fragrance and colors so exotic, it is stimulating. It is my delight to present it to you now on a journey of discovery you will never forget. 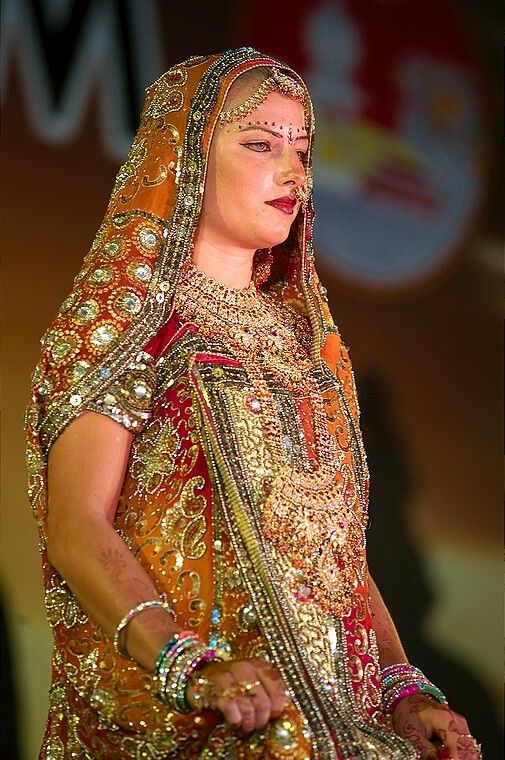 We focus on the best of India with the highlight of Pushkar, a once in a lifetime experience. The land of 1000 languages and 1000 gods. You are welcomed with marigolds and branded with the typical red dot on our foreheads. The obligatory sites include Gandhi’s Tomb and many UNESCO World Heritage Sites. No where else have ancient traditions blended with the modern on a magnitude so evident as in Delhi. Fat sacred Brahma bulls block traffic creating delays.In this Hindu land, cows rule. Dogs, monkeys and children cross at their own peril. If you love spiced food, begin each day with a 3 alarm-curry breakfast. Head by coach for Rajasthan, the beautiful desert state where cows are replaced by camels. The air is sweeter and everything extra colorful. Here is a microcosm of all that India is. 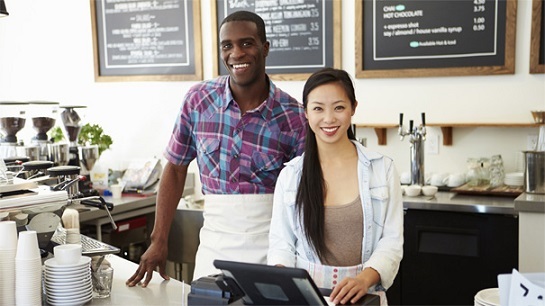 The people are polite with a humility and still light up at the sight of foreigners. Typically in November, depending on the cycle of the moon. The majority of the camel action takes place over the five days leading up to the official start of the festival, after which time the focus shifts to heightened religious celebrations. 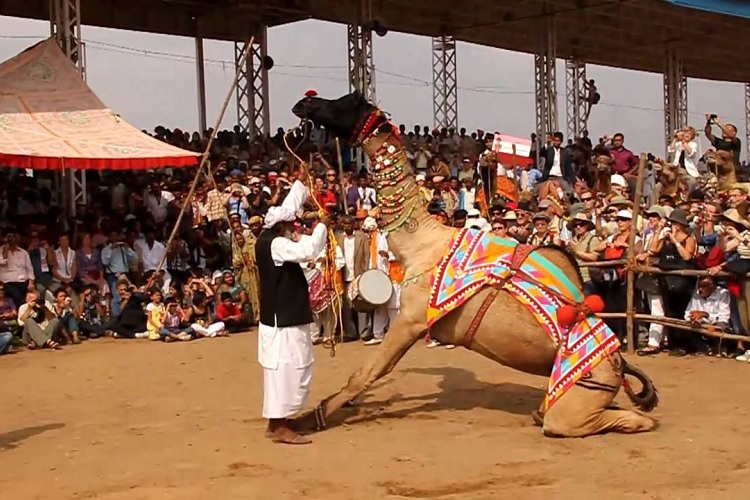 The official dates for the Pushkar Camel Fair for 2015 are November 18-25. Camel trading and other activities will commence from November 16. Make it a point to come early to see the fair in full swing! The Pushkar Fair official programme events and fairground will run from around 8 November to 14 November. The full moon night, Kartik Purnima 2016, the focus of the religious and pilgrimage activities, is 14 November. The annual Camel Fair in Pushkar has taken place for a thousand years. As the world’s largest, it has at its peak attracted 50,000 camels with 200,000 traders. There are numerous camp sites. In the desert, nights are frigid and afternoons sweltering. Soon your shock turns to awe as you enter the fairgrounds. The initial purpose behind the Pushkar Camel Fair was to draw local camel and cattle traders to do business during the holy Kartik Purnima festival, held in Pushkar around the full moon in the Hindu lunar month of Kartika. The fair has now also become a key tourist attraction. Set on miles of shifting sand dunes with festooned camels and a flood of pilgrims, the scene looks totally surreal. Its like a State Fair on steroids. There is a flurry of horse, bullock and camel races, contests for milking, animal decorating, turban tying, tattooing as well as snake charmers, free carnival rides, mystics, astrologers and dazzling stalls of handicrafts at giveaway prices. The ground reverberates with activities. 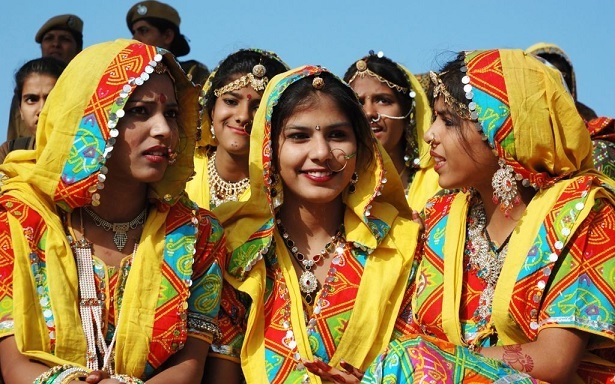 Thousands of Rajasthani women arrive dressed in their finest clothes in near neon colors. You can watch trained monkeys, painted cows and cobra’s dance. No words can adequately describe how this helter skelter overwhelms your 5 senses. You can have Europe with its cathedrals and museums but this exotic exposure and cultural immersion is the ultimate travel! Each night there is entertainment under the stars with musicians, folk dancers, puppet show or fire eaters. No alcohol is allowed here and all meals are vegetarian buffets. An Ayurveda Center offers treatments to cleanse body toxins. They include induced vomiting, enemas, nasal drainage and blood letting. Not for the faint hearted. 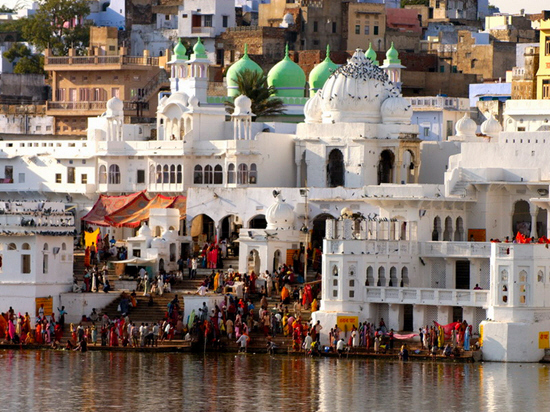 You will have to tour the holy city of Pushkar with its sacred lake created by Lord Brahma. Pilgrims come from afar to bathe in the ghats and worship round the clock. It is a great chance to learn about religions here: Zorastrism, Sikhism, the mystic Sufi’s, Jainists who won’t kill a mosquito, Hinduism that claims no absolute truth and the caste system. You get to tour temples at the lake; some are “blessed” by priests. One of the highlights for many is a one hour Camel Cart Safari behind the scenes of the fair. You will also get to ride huge spitting camels that will provide you with a heightened perspective of it all. Garnet necklaces and silver ankle bracelets are some of the thousands of items that can be purchased. There are endless food courts. If you love Indian food as i do,then you will find yourself in paradise. I find the cacophony of chaos delightful. Pushkar is truly a party affair for the locals and we are just observant guests. Ajmer is the closest railway station to Pushkar. From there it's somewhat of a windy 30 minute drive through the aptly named Snake Mountain (Nag Parbat) to Pushkar. You will find the local buses are dilapidated and crowded but the fare is a measly 20 cents, and the journey very authentic. Auto rickshaws are in addition available but getting the drivers to use the meter is futile! The fare is normally around 100 rupees ($2.50), but during the camel festival it can be more. On the other hand, Jaipur is the nearest airport. It takes around two and a half hours. During the festival taxi fares to Pushkar can easily double, so expect to pay between $30-$60.